Love it. Made organizing all my passwords a breeze. Love the metal covers and that the pen keeps it closed. Really cool. My children love the idea . All in one place. easy to fine the passwords. I have been needing something to keep track of my passwords. This will do the trick. Like the compact size, only wish it had alphabet tabs for lookups. It's functional but not what I was expecting. This is a nice password book. It is smaller than I thought, but is workable. It will be easy to store away from prying eyes as well. I gave it to a friend. It was to small. I was looking for something bigger. I just made my own. I was very disappointed when I received the password book. It does not match the picture in the catalog (very small). It is definitely NOT worth the price. I wanted to return it, but my wife don't bother... it is a lesson learned. It 's better to have something you can write all pass words in. It's hard to remember when you have several !! It looks real sturdy, pretty cover, lots of pages & a pen. Need organization in old one. It is better than an Excel spread sheet and can be stored in a safety deposit box. Loved the outlay of it. 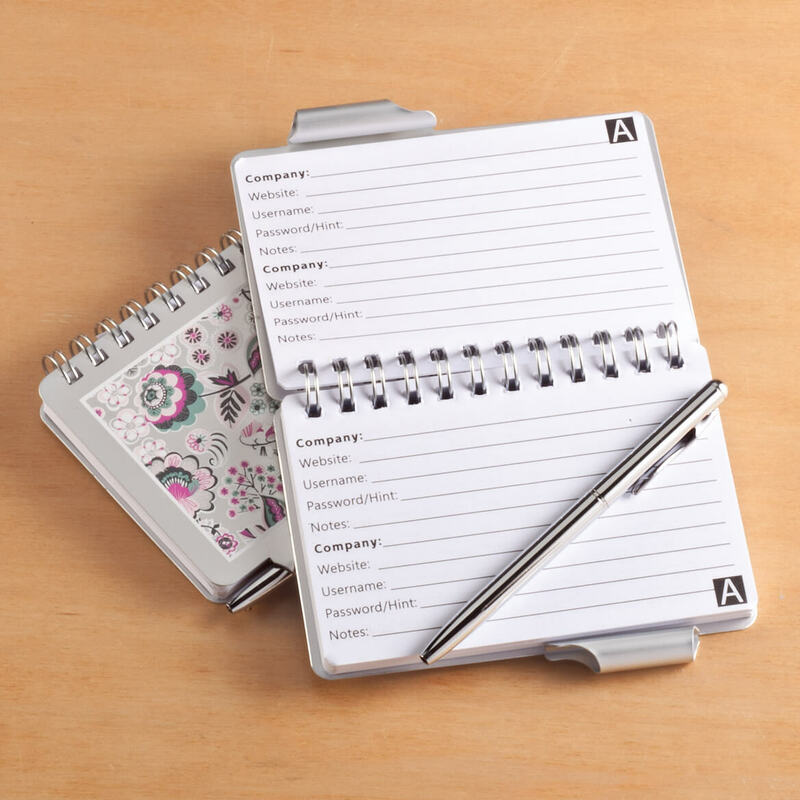 I chose this item because I was using an old address book to remember my passwords for internet shopping. The pages were starting to fall out, so this book seemed like a nice choice to replace it. Appears to be a convenient way to keep passwords all in one place. Small and convenient. Easy to hide away. couldn't find one anywhere else. 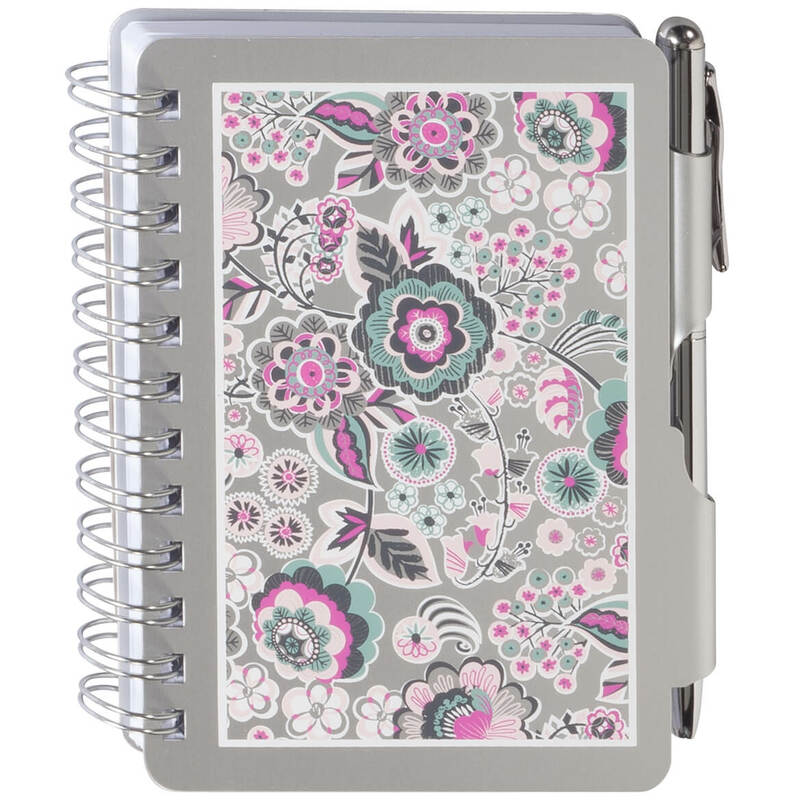 We had ordered these planners in the past and they worked great for us. I am buying them for my staff and hope they enjoy as well as I have. great product! It would be helpful and it is pretty! I am in desperate need for a pass word book. It is difficult to keep them all straight. I have different ones for each sight etc. I order from. I guess I'm just getting old and I need help to keep it all straight. Get organized & have a place keep my email addresses & pass words. liked what I saw. Seams like the book I was looking for. Just trying to get my scraps of paper organized. So far so good. Tired of multiple pieces of paper! Liked your product, however, do not like handling fee. Most online stores do not charge for handling.